Traditional disposable coffee cups are made from paper board with a Polyethylene lining to keep the cup leak proof and from going soggy and until relatively recently, difficult to recycle or compost in the UK. Recent additions to the cup range are a raft of new compostable disposable coffee cups that are made with a PLA (Polylactic Acid) lining instead. 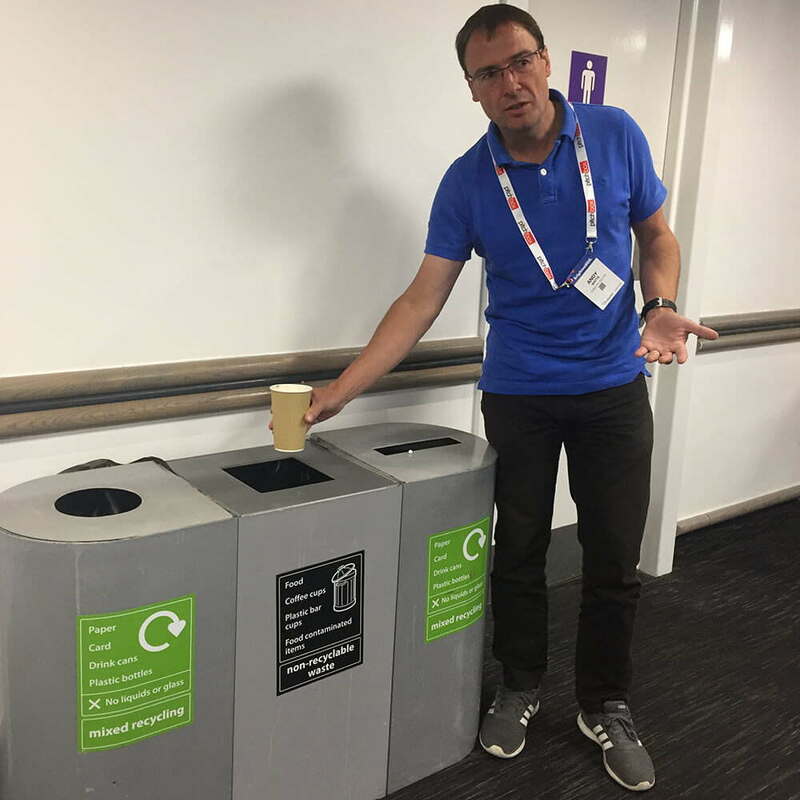 Recent media exposure of the issue of huge number of disposable cups ending up in landfill has also brought a shake up of recycling capabilities and facilities, so should no longer be a reason not to recycle cups. We recently attended a conference at the Brighton Centre along with 3500 other attendees and along with most people there, consumed several cups of tea and coffee. We were therefore surprised to see that the disposable coffee cups were not being recycled when closed loop solutions are becoming widespread, not just for coffee cups but also for plastic glasses (see Plastico video below). We have previously blogged about our ‘soil to soil’ plant based plastic solutions in this year’s FPA environmental seminar, but this only works if the PLA products are properly collected and are composted in suitable industrial facilities – which is hotter than normal composting and has the necessary anaerobic digestive enzymes to break it down. Therefore, whilst pursuing the PLA path seems to be a good thing, it is only the best option if there are suitable collection facilities to ensure the cups end up in industrial composting facility – something we did not spot in Eastbourne. As mentioned, there has been an uplift in facilities for recycling coffee cups and other plastics and we recently published a guide from leading global coffee cup producer Huhtamaki, which shows who can be contacted in the UK to arrange this. 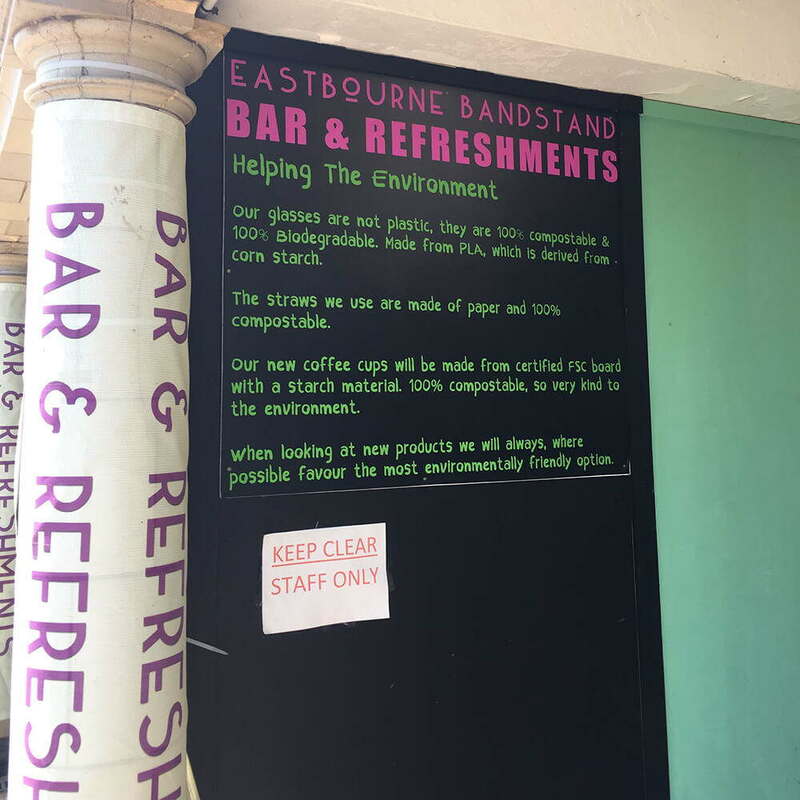 If you are running a large venue with thousands of coffee cups being used every day and have already made an effort to recycle other items consumed with the venue, there is no reason why coffee cups cannot be recycled too! If you are out and about drinking your tea or coffee, the large chains are increasingly offering to take back disposable coffee cups and recycle them for customers. For example Costa has launched a scheme including collection of rival chains cups.